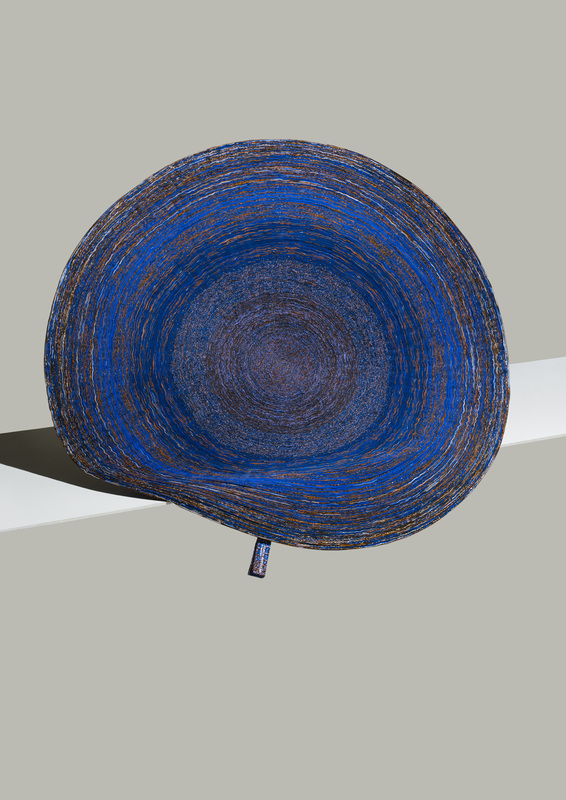 Post Vlisco is the result of research into new applications with textile waste at Vlisco. The textile manufacturer’s complex manufacturing process produces large volumes of material that is not approved for sale. From these high-quality lengths of cloth, Post developed a new product that has the same beauty as the original fabric. She mainly concentrated on the colours: folding the strips of cloth creates a colour palette that is revealed in the collection of floor rugs. 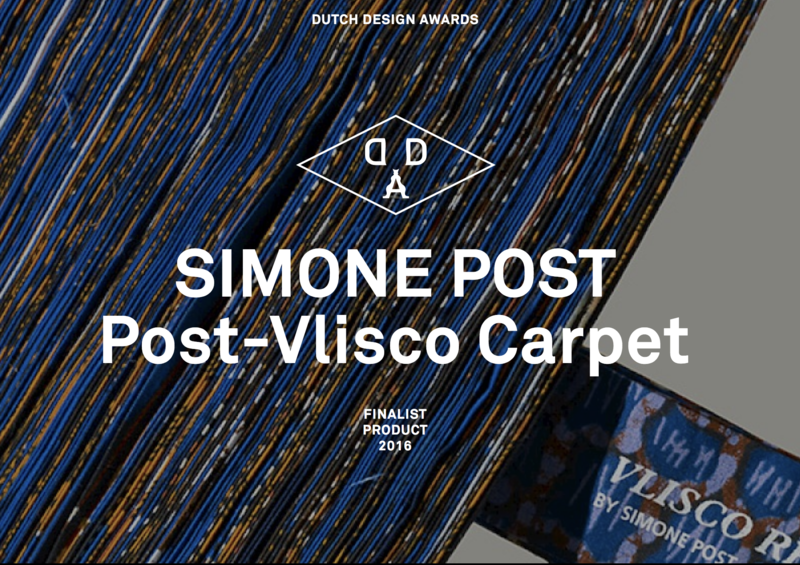 Designer Simone Post managed to convince Vlisco to use waste material for a series of new interior products. 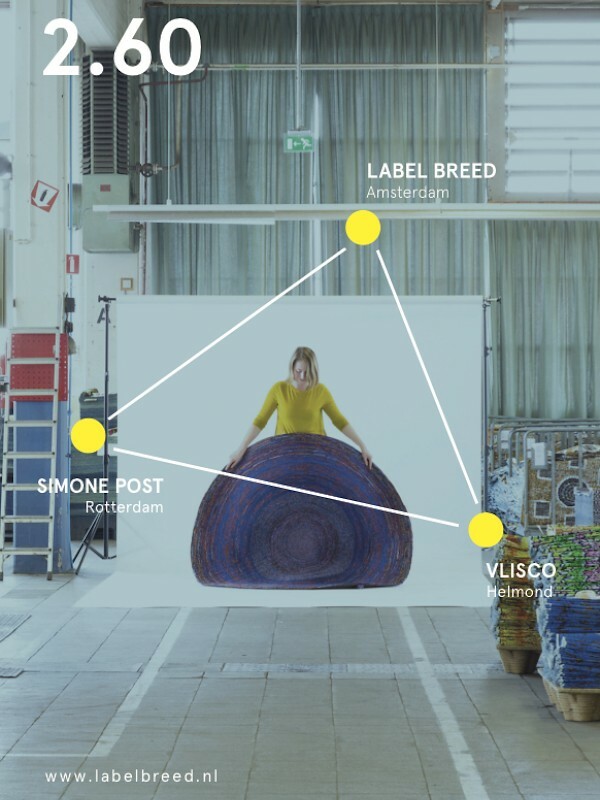 The result – Post Vlisco – has benefits for both parties: it does not degrade the world-famous textile producer, but creates a strong new line. Although the revaluation of waste is central to the set-up, the resulting design appeals especially to the imagination. This demonstrates for the committee that a social objective like sustainability does not have to be at the cost of aesthetics and appearance.